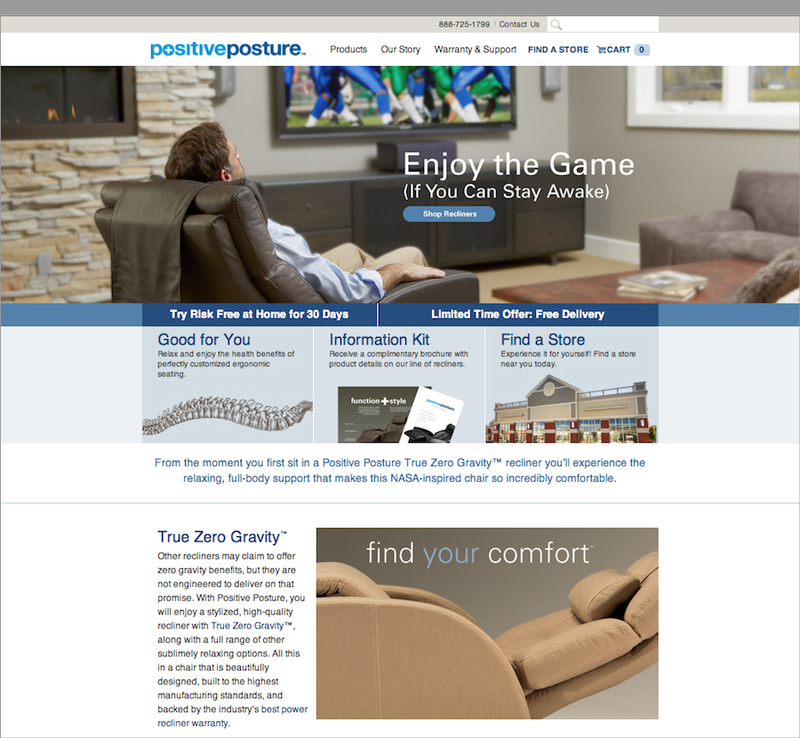 We just launched the new Positive Posture™ website showcasing the company’s True Zero Gravity™ power recliners. The website is the culmination of a rebranding process where we helped the client promote its industry-best recliners while also laying the foundation for future product introductions. Positive Posture power recliners offer the perfect zero gravity angle of recline, weight distribution, body support and personalized comfort, earning the title of The Most Comfortable Furniture on Earth™. TCA designed the site on a totally new platform, Shopify, which specializes in ecommerce website design, enabling easy, intuitive ordering of the product.